Read the physical description of these mammals. They look quite scary at nights with their facial coloration and glowing eyes. Size: From head to hip, the raccoons are about 16 to 28 inches long. The long bushy tail is about 8 to 16 inches long, but most commonly it comes 10 inches long. Their shoulders are approximately 9 to 12 inches high. Males are larger than the females. Weight: Their weight varies between 2 and 14 kg. Males weigh more than the females. 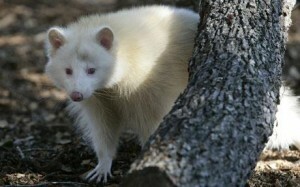 Color: They have a dark black patch of fur encircling the eyes. The rest of the face is covered with white fur. The ears have grey colored fur with white border. The rest of the body, apart from the tail, is completely grey colored. The long, bushy tails have alternate circles of dark grey and off-white fur. Limbs: They have one pair of forelimbs and one pair of hindlimbs. The paws have five fingers and are capable enough to grip anything, like humans. Raccoons are native to a long stretch, from Panama to Canada in North America. 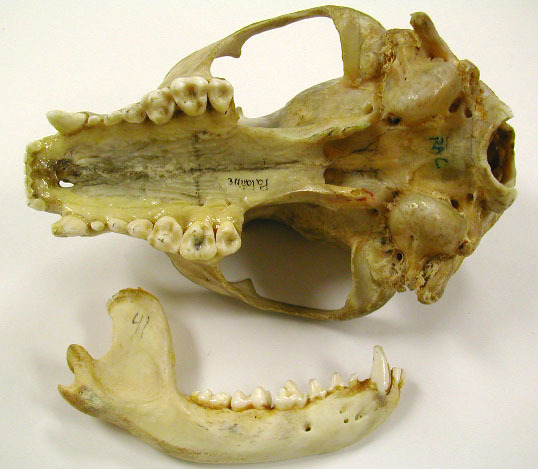 Reports suggest that during pre-Columbian era, these mammals inhabited forest and marshes along the riverside in Southeastern United States. It can be assumed that they were introduced to the north central and central regions of United States during the mid 19th century. At present they reside in the Western Rocky Mountains, coastal marshes and prairies of North America. Beyond North America, these animals can be found in many of the Asian and European countries. Germany is the second most populated country of the raccoons. Parts of Northern France and former Soviet Union were manually flourished with these mammals for establishment of their population for fur industries. Caucasus of Eurasia is densely populated with this species of mammals. Almost 10 of these animals inhabit per square mile of forest area. They are quite popular as exotic pet in Japan and thus can be often seen in captive. These animals were introduced to Germany between the years 1934 and 1945. They prefer to sleep in hollow trees and rock crevices. These mammals also nest in the tree trunks during winters as well as reproducing. They use burrows that had been dug and used by other animals before, when other means of nesting are inconvenient to find. They sometimes use three crotches and dense undergrowths. This species of mammals are usually found near marshes, riversides and lowland deciduous forests. 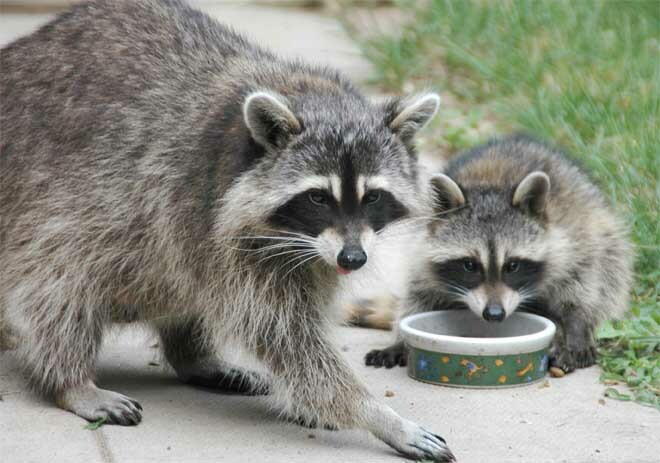 Raccoons are omnivorous in their diet habit. Their diet proportion is roughly about 27% vertebrates, 33% botanical materials and 40% invertebrates. During spring and summer they eat bugs, worms and insects. Throughout the summers they eat nuts and fruits. In autumn, they diet on protein and calorie rich foods to store the fat required for winter protection. They prefer easy preys like bird eggs, amphibians and fishes. Raccoons get choosy with food when they have abundant options. They always examine their food before eating by notching them with their front paws. They also wash any holed food. Let us study behavioral patterns of raccoon. They are fast learners. Studies showed that they could distinguish a pile of things from another pile which differs in quanity. They are very aggressive at the slightest shift of their mood and have no fixed pattern when it comes to mood swings or rules they abide by. They are sociable in their own species. During mating season, the males roam around in groups. Both the mixed group and the gender-oriented group are known as nursery. Their socialization is highly gender oriented. They mark their feeding, playing and sleeping territories through their odor. 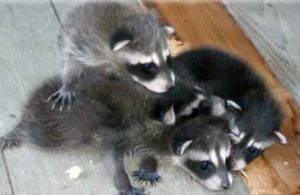 Mother raccoons take the kits and detach themselves from male groups until the juveniles grow up. This is to protect the young ones from sudden aggression from the older ones. They are mostly nocturnal. But sometimes can be seen roaming around during the day. They are very fast climbers. These animals are great swimmers as well. They walk in a shuffle like pattern. They clean their foods before eating. Females of this species of mammals prefer solitude. Related females sometimes share the same territory. 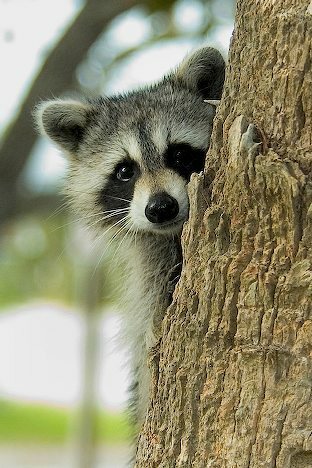 Raccoons make a “hisshhh”-ing noise which is similar to that of a squirrel. Their peak mating season is usually from early January till middle of March. In some geographical locations of their distribution zone, the mating season stretches till late June. They are monogamous beings. During the mating season the males wander around restlessly in search of potential mates. Their courtship and mating time span with each partner can last up to more than an hour. 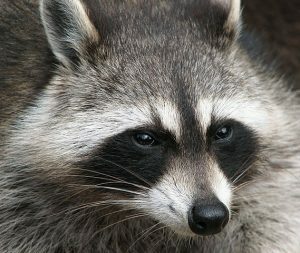 During the peak mating season, if a female raccoon could not conceive or lose the child then she becomes fertile and capable of mating within 80 to 140 days. After the gestation duration of about 65 days, a litter of approximately 5 kits is born. They young ones are nurtured by their mothers for about 3 to 6 months. If the temperature is very low then the kits stay with their mothers for as long as the next set of litter is born. The young ones are born deaf and blind. They gain hearing ability by the age of 18 to 23 days and vision appears a few day after that. At birth, they weigh about 75 g and are approximately 4 inches long. The mothers take the young kits to the outside world and mark the dens as well as the feeding grounds to them. The juveniles go out for feeding and then come back to the den till the time they leave the den permanently. 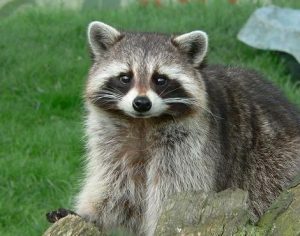 On average the life span of a raccoon in the wild is of about 3 to 4 years, with a maximum extent of about 15 to 16 years. In captivity, they have been recorded to have lived for about 20 years. These mammals have many natural predators. 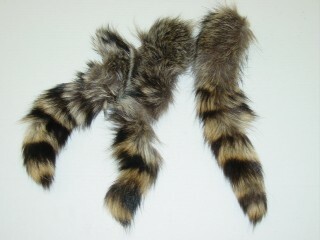 Bobcats, great horned owls, wolves, eagle owls, lynxes and coyotes are the most common predators of raccoons. Under some uncommon circumstances, wild dogs and even wild cats prey on this species. They are one of the most adaptive animal species on earth. Their vast range of diet preference allows them to adapt to new habitats, soon enough. They store essential fats for winter well in advance of the season. Their paws are like human palms that enable them to screen through rubbish in search of food stuff, near locality or trash dumps. Raccoons do not hibernate, opposed to the common notion. They merely hide indoors and oxidize their body fats to survive during the extreme cold weeks. Though the raccoons are not great choices for pets still they are petted as exotic pets. Check for your State laws and get proper documents before petting one of this species. They are very risky pets. Even the infants cannot be tamed to abide by training. Housing: House them in a strongly wired pen. It is advised not to leave them open in the house, as they can be of equal threat to the household stuff as well as to the resident human and other domestic animals. Feeding: They are adapted to a wide range of diet. But if they are fed with usual cat food for a long period then that can become harmful for their health. Consult with a good veterinary for their proper health care. Care: Do not let them roam around in the house. They cannot be domesticated as other pet animals so it is better not to handle them much. They can be aggressive at times and can endanger your mere life. According to the declaration IUCN, the raccoons are listed as “Least Concerned” animals. Read some very interesting facts about these mammals in here. Part of their scientific name, lotor, is derived from the meaning “washer”. This has been given to them due to their behavior of dipping their food in some liquid as if to wash it. Dakota Sioux believed that these mammals possessed supernatural powers. Amongst Aztecs, the mother raccoon’s attachment to her kits symbolized personification of wise women’s contribution to the tribes. In many of native American folk lore, these animals had been portrayed as tricksters. Many novels and TV series have been depicted on living with a raccoon. The most renowned novel is Rascal by Sterling North. See the pictures of this omnivorous mammal, below, so as to identify it correctly the next time you pass by one of them through the forest safari. How can I get a baby raccoon? I live in California. I have always wanted one and I had a friend who’s Dad brought one years ago and since then I have been fascinated with them…I have been around them, there are wild ones where I have lived and they would eat our cat food and come around every nite, even scratching on our door and they would come in and they were friendly after getting to know us…they knew we would feed them and they would go in our pool on the step….looked like they were washing their paws. I have been around them and they would take food out of my hand…I am a seriously thinking that I would like to raise on as a baby. How can I?